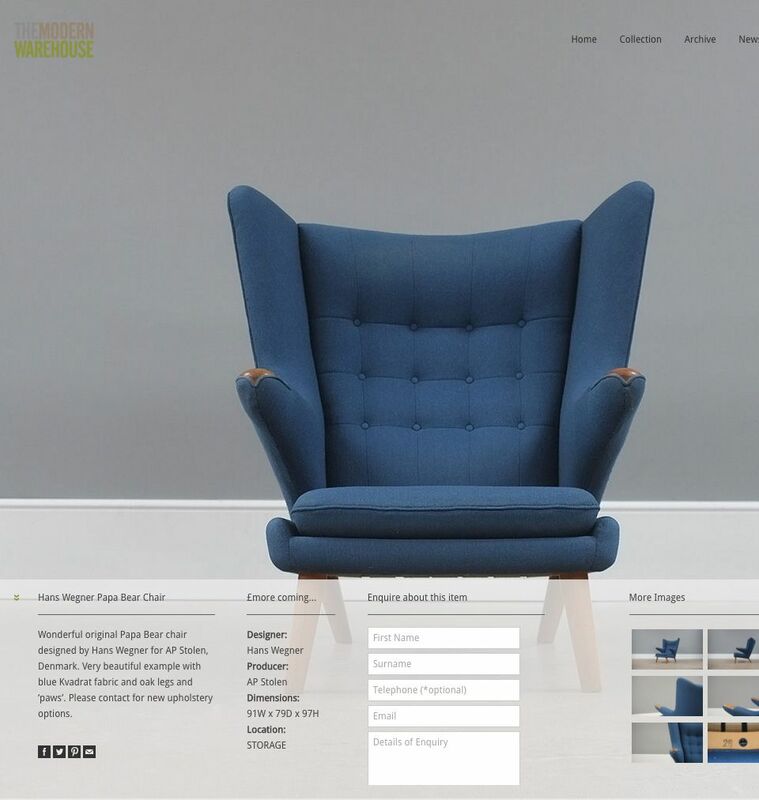 The Modern Warehouse needed the online equivalent of a showroom for their vintage designer furniture. We created an elegant, visually-led and responsive WordPress site that puts the products front and centre. Using the popular WordPress content management system gives Modern Warehouse total control over the content of the site, with an easy-to-use interface. We also added some bespoke elements, including a product module and category system for easy sorting. We created an elegant, visually-led and responsive WordPress site that puts the products front and centre.